Michele Leggott, an award-winning poet who began to lose her sight in 1985, was last night awarded the 2013 Prime Minister’s Award for Literary Achievement for poetry. Michele, who is also a Professor of English at the University of Auckland, has published seven books of poetry and was the inaugural New Zealand Poet Laureate in 2007 to 2009. Her achievements were acknowledged in a ceremony at Premier House in Wellington, along with fellow writers Owen Marshall (fiction) and Martin Edmond (non-fiction). 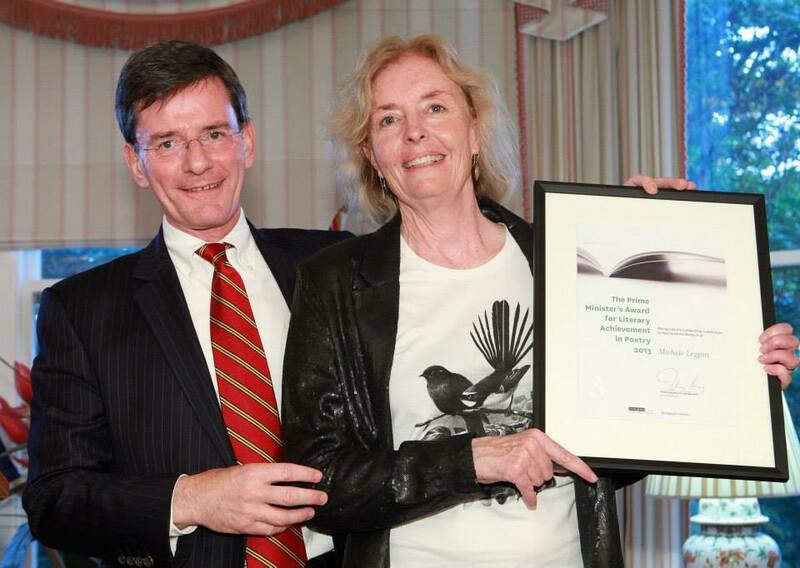 Each recipient was awarded $60,000 in recognition of their outstanding contribution to New Zealand literature. Instead, she used an iPOD on which her long poem “Keep This Book Clean” was recorded. As the recording played in her ear, she narrated her poem with confidence, clarity and style. The annual Prime Minister’s Awards for Literary Achievement are presented by Creative New Zealand. Read the media release. Original generation time 1.6922 seconds. Cache Loaded in: 0.0191 seconds.